Five painters had been commissioned to produce works for the Asia Pacific Triennial of Contemporary Art show in Queensland. Their paintings will be there, but they won’t. Reporting from Seoul – Nick Bonner has a cautionary tale about propaganda, censorship and North Korea. But it’s not what you think, he says. The British filmmaker and art dealer had helped commission five North Korean painters to produce works for an Australian art exhibit, inviting them to come and talk about their craft and inspiration. This week brought a last-minute catch, a tableau where politics overshadowed art. But it didn’t come from one of the world’s most-repressed societies. Instead, Australia denied entry visas for the artists, calling their work a product of North Korea’s propaganda machine. The Australian Foreign Ministry says the visa ban is part of its response to North Korea’s efforts to develop missiles and nuclear weapons. To make an exception in this case, it says, would have sent an inappropriate message to North Korea. 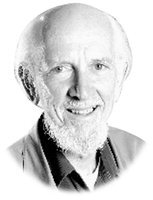 Australia froze relations with the communist nation in 2002. Kim’s government last year closed its embassy in Canberra, the Australian capital, citing financial reasons. North Korea walks a delicate and seemingly contradictory cultural and political line, courting international sanctions and isolation with its weapons programs but occasionally reaching out to the world. The New York Philharmonic was invited last year to perform in North Korea, which has also joined international competitions in gymnastics and soccer. Pyongyang watchers on the Korean peninsula were divided Thursday on Australia’s decision. “Australia joined the U.N. sanctions against North Korea, which include regulations on people. But it seems an overly political way to handle cultural and artistic activities,” said Lee Woo-young, professor at the University of North Korean Studies in Seoul, the South Korean capital. 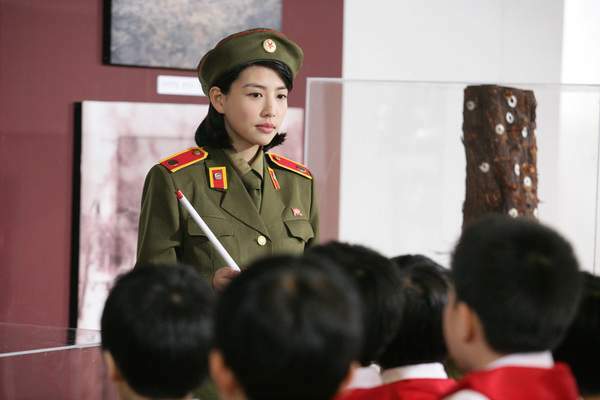 But Lim Soon-hee, a research fellow at the Korea Institute for National Unification in Seoul, said the artists’ visit could have been a windfall for North Korean propaganda. “Art and cultural policies in North Korea are tools for political propaganda and idolization of [late leader] Kim Il Sung and Kim Jong Il, rather than pure, nonpolitical schemes,” he said. 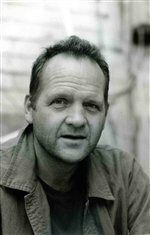 Bonner, who has made several documentary films in North Korea, in 2006 commissioned the Mansudae Art Studio to produce 15 pieces dealing with industrial landscapes for showing at the Asia Pacific Triennial of Contemporary Art in South Brisbane, Australia. The display, which will be up through April, features the works of 100 artists in 25 nations. Though he acknowledged that North Korea’s art studios are government-run, as are most organized activities in the country, he said that doesn’t mean that all the works produced there are political. 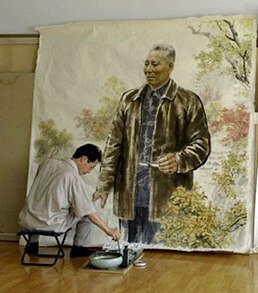 Mansudae, which houses 1,000 artists, has produced work for several exhibits in Italy, according to the studio’s website. Bonner encouraged the artists to avoid the socialist realism style typical of most communist propaganda. “We didn’t want works that glorified workers, but something more understandable to Australians — their humility,” he said. Still, for many of the artists the assignment was a stretch. Finally, a painter showed Bonner a photograph of a blue-collar worker smoking a cigarette. “He said, ‘Is this what you mean?’ and we said, ‘Yes!’ It was a real breakthrough,” Bonner said. He said the completed works — including sketches and portraits in oil paint and ink — express ideas that are groundbreaking for the North Korean artists, such as a painting that shows the smoky fires of an industrial foundry. 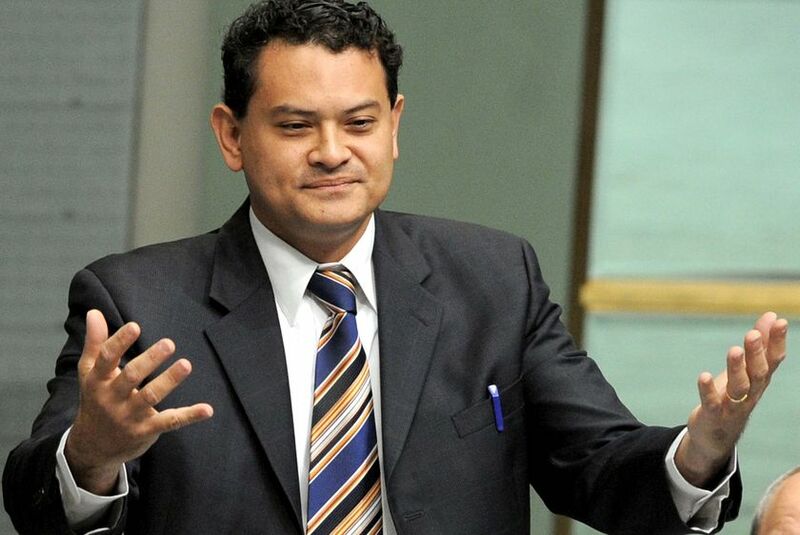 He is in danger of becoming known as the Member for Pyongyang. Following a taxpayer-funded visit to the North Korean capital, the Queensland federal Liberal MP Michael Johnson wants Australia to engage with Pyongyang’s regime just as Richard Nixon opened relations with communist China in the 1970s. He concedes that North Korea is ”one of the darkest places on the face of the planet” but says Australia’s policy of condemning the regime has failed, and he has called on the Federal Government to open an embassy in Pyongyang. In a report tabled in Parliament, Mr Johnson, the MP for Ryan, says his vision is to lead a delegation of young Australian students, sports players, musicians or academics back to Pyongyang. ”This would be a form of third-track diplomacy that could reignite the bilateral ties and see Australia begin a diplomatic process of connecting with key stakeholders in the North Korean regime. Mr Johnson was in Pyongyang in April and met local officials including the foreign vice-minister Kim Yong-il. He was in Pyongyang for the regime’s celebrations on the 97th anniversary of the birth of the late president Kim Il-sung and visited Kumsusan Memorial Palace, where Kim’s embalmed remains lie in state. His visit came at the height of tensions between Pyongyang and Western powers following North Korea’s launch of a long-range missile on April 5. He was in the country when the UN Security Council condemned the launch and the regime retaliated by announcing the resumption of its nuclear weapons program. Mr Johnson told the Herald he did not accept that his visit could have provided succour to the regime. ”That is always the argument, but I think they don’t need any legitimacy from anybody. We have got to change the whole paradigm of our thinking. One is more likely to make progress by engaging a foe than by exclusively and consistently condemning them. Mr Johnson said the only other sitting federal MP to have visited North Korea was the Prime Minister, Kevin Rudd, who had gone there while in Opposition. ”There has been no interest whatsoever from him in relation to my trip,” Mr [Johnson] said. AvistaZ Asian Movies. Kim Seon-ho, a horn player, is leading a happy middle-class life, along with his elderly but active parents and the married sister’s family. He enjoys an occasional stroll on the neighborhood riverbank and a dish of cold buckwheat noodles. Recently Seon-ho has fallen head over heels for the beautiful museum guide Young-hwa (Jo Yi-jin, The Aggressives), a girl as “fresh and clean as a swig of dongchimi (cold radish kimchi juice made without red pepper).” When his father (Song Jae-ho) takes up a correspondence with his presumed-to-be-dead grandfather, however, things begin to unravel. You see, Seon-ho is a North Korean. And the grandfather, whom the family thought was an honored Communist hero, has been living in South Korea all these years. Threatened with exposure, Seon-ho’s family decides to risk their lives and seek asylum south of the border. How far South Korean movies about the North-South division have evolved since The Spy (1997) and Shiri (1999) may be seen in the fact that the story of “Over the Border”, with only a few details changed, would make sense in almost any national context where illegal immigration and acculturation are serious social issues. Mexicans in the United States or Moroccans in France would certainly resonate with the Kim family’s experience, their befuddlement, desperation and courage in their efforts to create new identities in a familiar yet strange land, and their sorrow resulting from the inevitable choices they make in order to survive. Considering the reality that more than one thousand “escapees” have settled down in South Korea, some of whom can even make phone calls to North Korea via satellite relay, it is perhaps not surprising that Southerners increasingly look upon the Northerners amidst them as just another group of immigrants. The greatest strength of TV producer An Pan-seok’s debut film is its almost anthropological approach to the everyday lives of North Koreans and Northerner exiles in South Korea. The painstaking recreation of communal restaurants and concert halls with their opulent but hollow-looking interior design, and an apartment house with its warm-colored but borderline cheesy wallpapers are stunning in their verisimilitude and naturalism: equally impressive are the detailed descriptions of housing facilities and relocation programs for Northerner exiles. 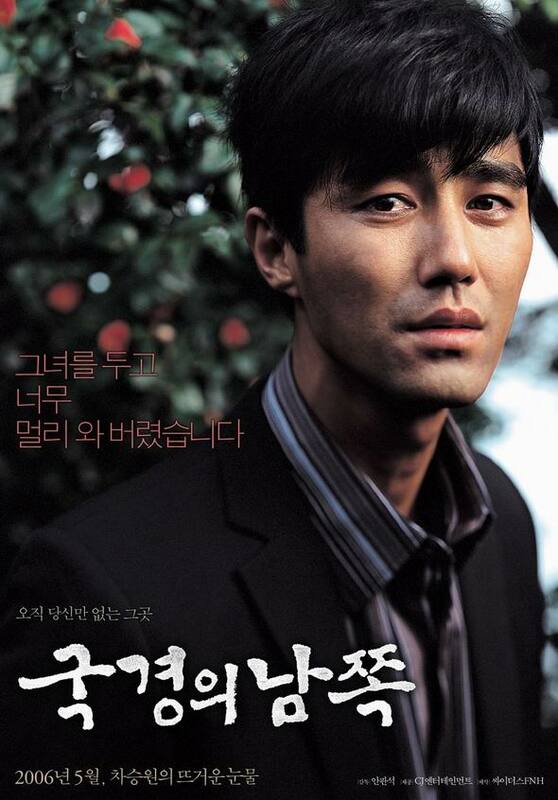 Cha Seung-won, eschewing the comic images familiar from his earlier pictures, is so convincing in portraying Seon-ho’s naive, trusting nature that I basically forgot throughout the movie that, if he were to mingle with North Koreans in real life, Cha would stick out like Gandalf among a bunch of Hobbits. Jo Yi-jin is indeed fresh and clean in her role: for me, like a gush of wind from the mountain top, carrying a fragrance of young pine needles. As a counter-point to Jo’s youth and wide-eyed vivaciousness, the veteran actress Shim Hye-jin (Out to the World, Acacia) delivers an excellent supporting performance as a mature, tough owner of fried chicken restaurant who befriends Seon-ho. ﻿﻿2point6billion.com Dec. 2 – North Korea has abruptly revalued its currency by a huge margin and restricted the amount of old money people can exchange for new bills prompting reports of rioting in its capital, Pyongyang. The measures are intended to stomp out burgeoning black market trading by effectively wiping two zeroes off the value of North Korea’s currency, the won. The hermit state moved further to choke illegal currency trading by only allowing about 100,000 to 150,000 old won to be exchanged for the new notes. The new rules sent people desperate to exchange their won for the U.S. dollar and Chinese renminbi even at lower black market rates. 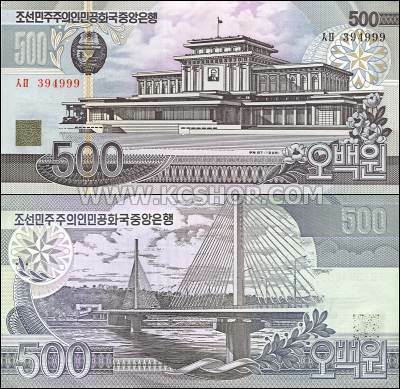 According to Daily NK, a dedicated North Korean online news site, the maximum amount per household which could be exchanged in cash was changed to 150,000 won but a new decree now states that authorities will only permit people to exchange the rest of the money at 1,000:1 although the exchange rate is still 100:1. Currency exchange finally started across North Korea at 8 o’clock this morning. The changeover is supposed to have been completed by the 6th, and from the next day the new denominations are due to enter circulation. There have been some delays to implementation of the exchange, including a delay to the day the new notes enter full circulation. However, several inside sources have reported that every county branch of the Chosun (North Korea) Central Bank has now started exchanging old money. In the meantime, resident sentiment turned aggressive once the details of the proposed exchange became clear, and now the North Korean authorities have revised those details once again. “According to the new decree, the exchange rate is still 100:1 for 100,000 won, but now the authorities will only permit people to exchange the rest of the money at 1,000:1.” As a result, if you take 200,000 won in cash to a bank, you get 1,100 won in new denomination bills. This emergency formula will do nothing other than destroy the fortunes of the people. Another source reported that in the jangmadang practical trading had ceased, although rice was still on sale from traders dealing in the product from home. The price of a kilogram has apparently skyrocketed to 30,000 won in old denomination bills, a 15-fold increase. Wealthy merchants generally do their business in Yuan or U.S. Dollars, so the harm to them is not so serious. At the other end of the scale, low end traders who live from day to day will not be hit too hard for the simple reason that they don’t have much cash. However, people in the middle classes who have tended to hoard paper cash at home are facing a fatal beating.